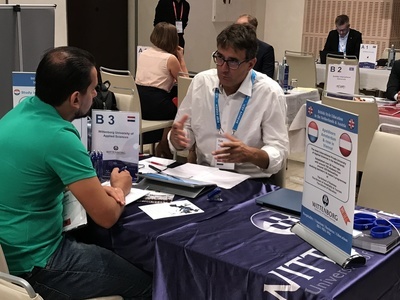 Wittenborg attended the ICEF Higher Education Agent Workshop and the Higher Education Forum, that brought together over 60 higher education institutions in discussions about partnerships and university collaboration. With agents from over 75 countries represented at the workshop, Iran and Morocco were amongst the countries showing a lot of interest in Study in Holland! South America and Eastern Europe (non-EU) were also well represented at this week's ICEF Higher Education Workshop, attended by around 100 institutes and 150 ICEF certified agents from around the world. 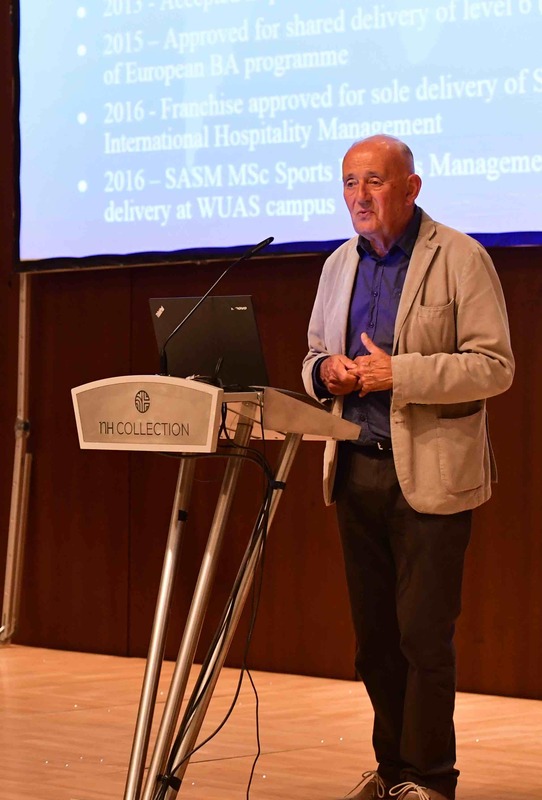 For two days, WUAS was represented at the workshop by Peter & Tim Birdsall, who led the discussions with agents from over 30 different countries. On day three, WUAS also presented its own unique partnership with the University of Brighton, at the ICEF Higher Education Forum. University of Brighton lecturer and partnership programme coordinator, Pete Odgers, and WUAS chair Peter Birdsall gave an in-depth insight into the relationship and strategic partnership between the two institutions. The presentation was entitled 'Strategic International Public-Private Partnership as a Growth Model' and resulted in a lively discussion between institutes looking for partnership models.